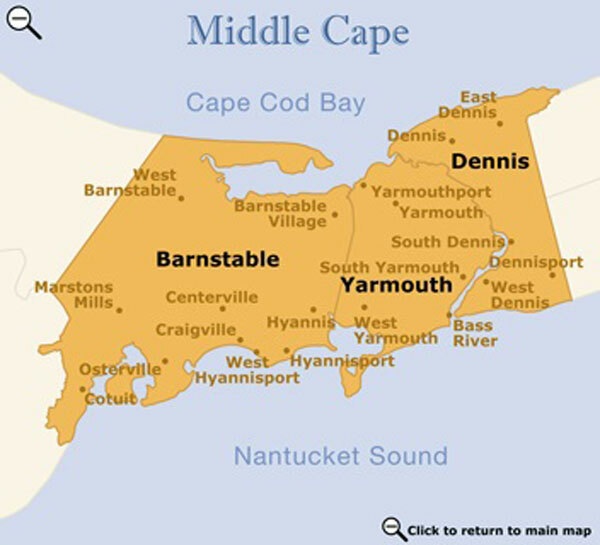 Incorporated in 1637, Yarmouth is one of the oldest towns on Cape Cod. Geographically, the town encompasses both the north and south side of the Cape, each area having its own flavor. Yarmouth has 15 fresh and saltwater beaches on Nantucket Sound. Seagull Beach is the town's largest, and the Bass River area has some fine beaches. On the shores of Cape Cod Bay, Yarmouthport has retained the charm of an early New England coastal community. Lovely sea captains' homes line historic and tree-lined Route 6A, along with antique shops and fine restaurants. Walk the 2 ½ mile nature trail through the Callery-Darling Conservation Area, which leads to Gray's Beach. From here you can stroll along the Bass Hole Boardwalk, which stretches over a creek and salt marshes and through nature trails. On the south side, South Yarmouth offers shopping, family fun and entertainment, and many family-type restaurants. The Bass River, the largest tidal river on the eastern seaboard, divides Yarmouth and Dennis; in fact, some people refer to this area as Bass River. Here you can charter boats or explore the river in a rented kayak or canoe. 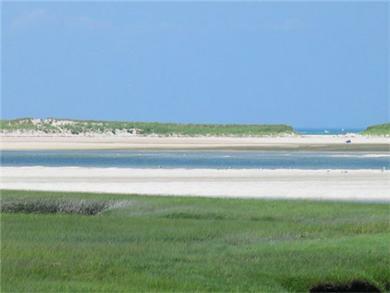 Bustling West Yarmouth, with its abundant vacation homes and cottage colonies, offers something for the whole family. While you are there, check out the new Whydah Pirate Museum for an interactive pirate adventure. And West Yarmouth is home to the lovely walking trail, the Yarmouth Boardwalk, which extends through the marsh and to Swan Pond and its surrounding woods. Free summer concerts are held on Monday nights at the outdoor bandshell at the Mattacheese Middle School, and the Yarmouth Seaside Festival is an annual event held in October.